After two years of delays, EU ministers have finally agreed to strengthen the bloc’s trade defence instruments. The decision comes as Beijing prepares to fight the EU’s tariffs at the WTO. EURACTIV France reports. Negotiations with the European Parliament and Commission to strengthen the EU’s trade defence toolkit can finally get under way. “This is a major step forward,” said Peter Žiga, Slovakia’s trade minister, who presided over the COREPER meeting in Brussels today (13 December). 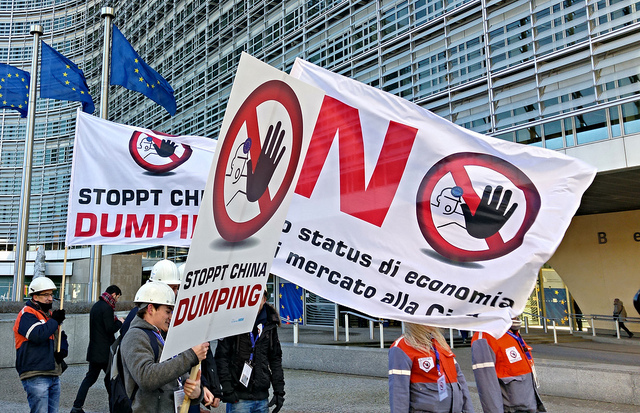 After two years of delays, the EU will now be able to revise its measures to tackle Chinese dumping. 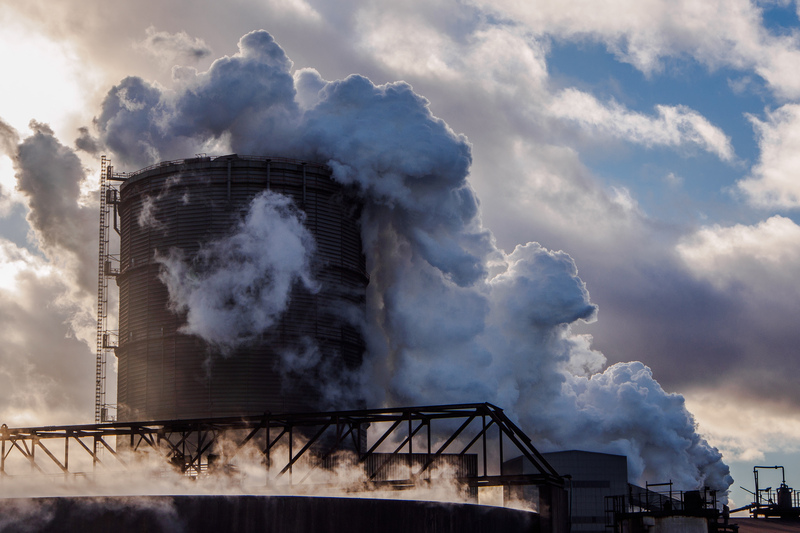 Beijing subsidises its steel industry to sell at a loss, while European producers are already suffering from problems linked to overcapacity in the sector. 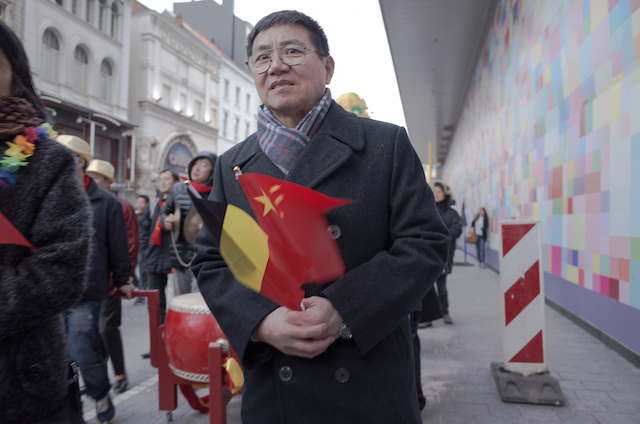 Over 5000 steel employers and workers will take the streets in Brussels today (15 February) calling for more protection from Chinese imports, as the Commission and Dutch presidency were passing the buck on increasing tariffs. “Our trade defence instruments have remained largely the same for over 15 years but the situation on world markets has changed dramatically. Europe cannot be naïve and has to defend its interests, especially in case of dumping. This is a crucial step towards a solid solution that would help EU producers cope with unfair competition and practices,” said Žiga. This agreement includes a plan to increase the transparency and predictability of measures, as well as to allow the Commission to impose tariffs on its own initiative; two issues that have been the subject of consensus for several months. But the agreement also foresees much stronger sanctions on goods accused of being the product of unfair competition, which is more controversial among member states. Thanks to the agreement, the European Union will now be able to impose more effective anti-dumping duties using the “lesser duty rule”. Under this principle, the EU’s anti-dumping duties are calculated depending on the potential harm they could cause to the European economy. As a result, any duties imposed are designed to cover market distortions but are not punitive. Many of the World Trade Organisation’s (WTO) members, including the United States, already apply much more dissuasive anti-dumping duties. “The compromise reached at the Council on Tuesday was a first step towards a Europe more conscious of its status as a commercial power, towards regulated global trade based on reciprocity,” said French Secretary of State for Foreign Trade Matthias Fekl, one of the leading voices in calls for stronger trade defence measures. Besides Germany, France in May called for “a balanced modernisation of the lesser duty rule”. EXCLUSIVE / German and French trade ministers have presented a set of common proposals for improving Europe’s Trade Defence Instruments (TDIs). 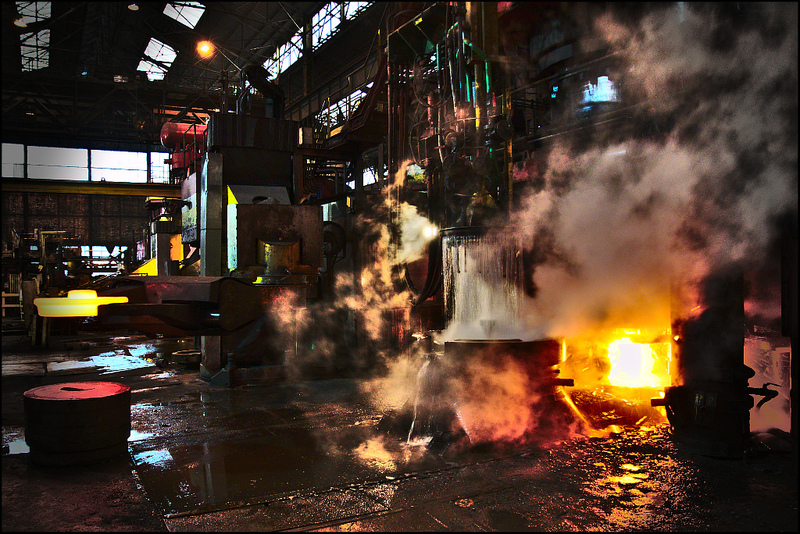 Blocked since 2014, TDI reform is now urgently needed in response to Chinese dumping in the steel sector. EURACTIV France reports. But this call remained a dead letter, spiked by a number of liberal member states, such as the United Kingdom and Sweden, which refused to call the lesser duty rule into question. The Council decision must now be debated in the Parliament before being definitively adopted. The EU’s agreement to reform its trade defence instruments comes within the context of heightened tensions with China, which has appealed to the WTO against the anti-dumping measures imposed by the EU and the US. Since it joined the WTO 15 years ago, China has enjoyed a different status from these two Western economies, due to differences between its trade practices and those of a market economy. But following the conferral of market economy status on Sunday (11 December), discriminatory duties on Chinese exports must now be lifted. The EU and US decided to ignore the date and have kept their trade barriers against Chinese goods in place. Beijing on Monday (12 December) filed a dispute with the World Trade Organisation over the approach used by the European Union and the United States to calculate anti-dumping measures against Chinese exports.